I have always been a huge fan of designer sunglasses for a few reasons. One, the pure glamour of rocking a designer brand, and two, designer brands have the chicest and most outrageous styles. I love the ostentatious flare that designer sunglasses can add to your look. A few brands that I already own are Tom Ford, Gucci, Dolce & Gabanna, Fendi and more. One thing I wish I knew before paying full price and anywhere upward of $300 for a new pair of shades is where to get the best deals. 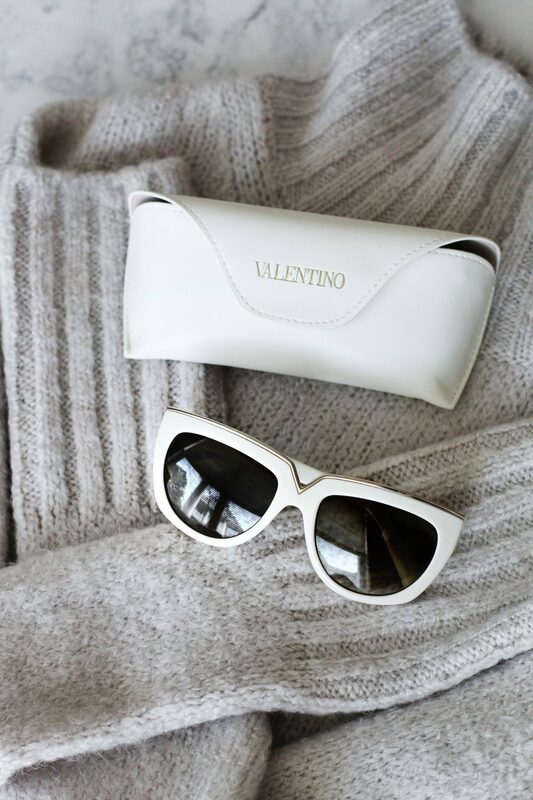 In this post I’m spilling the beans on how I scored my gorgeous Valentino sunglasses for a whopping $70! I love all these sunnies and such a great price! Thanks for the info!! Loved this post, Taylor! I actually think I got the same pair of sunglasses as you at Nordstrom Rack except mine are a burgundy color! I love getting designer pieces at such great prices, and you are so right, sunglasses don’t go out of style! I am white sunnies obsessed. And actually, all sunnies obsessed lol. Thanks so much for sharing Taylor. This is so incredibly helpful! What a great post! I love all of the sunglasses you rounded up and can’t believe some of their prices! These are such great deals! I am a big fan of sunnies! I really love the white pair you picked and all of these amazing styles you included for us. THANK YOU! You found so many great deals! I am constantly looking on sites such as Hautelook, Nordstrom Rack and Off fifth and you truly can find some major steals! a girl can never have too many sunglasses! and for such great prices you can’t go wrong! Love this round up Taylor! So many amazing picks! I love the Valentino! I love designer sunnies! I’ve got my eye on some Prada’s and Miu Miu’s and are waiting until I find them on sale. I need to look at Nordstrom Rack! I love this post! Nordstrom Rack is my Go-to for designer sale items, especially sunglasses! I must say I have never seen a point in buying expensive sunglasses, I always break them or lose them! I need to use a case more! Ywssss to Nordstrom Rack and Hautelook! Love those two places so much! Thanks Gail! These deals are unreal huh? Wow! look at those gorg sunnies!